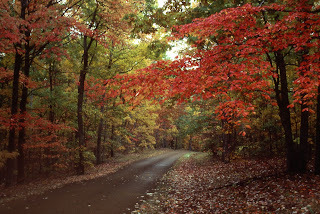 The Natchez Trace Parkway is a 444-mile drive filled with history through beautiful scenery, even more exceptional now that leaves are turning red, orange and yellow all along the road. 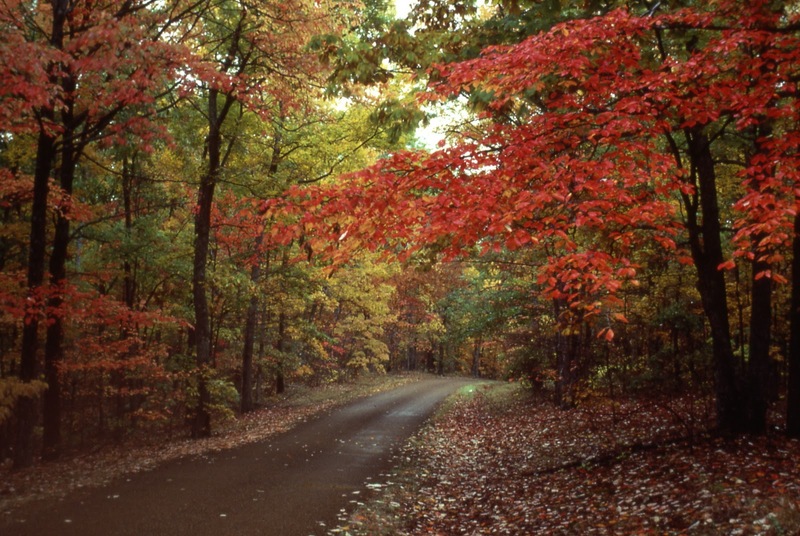 Visitors can enjoy a scenic drive or view leaves while biking, hiking, horseback riding, and camping. More than 50 roads access the Parkway in Tennessee, Alabama, and Mississippi. A new detour is in place at Tennessee Hwy. 412 (near milepost 391). The quarter-mile detour is expected to remain in place until fall of 2012. For specific questions concerning how to get to a certain portion of the Parkway, call the Visitor Center at 800-305-7417 or check maps online. Beginning middle to late October, maple, hickory, oak and other hardwood trees begin to change colors. Beautiful fall foliage should still be attracting visitors to the Parkway in early November. The National Park Service has provided this information on great places to see fall foliage along the Natchez Trace Parkway this year. The Old Trace Drive (milepost 375.8) provides spectacular overlooks of a hardwood forest. Metal Ford (milepost 382.8) and Swan View Overlook (milepost 392.5) provide quick stops to view fall colors. Leisurely walks at Meriwether Lewis (milepost 385.9) or Fall Hollow (milepost 391.9) are great locations to enjoy the colors. A day hike along the Natchez Trace National Scenic Trail from the Garrison Creek Trailhead (milepost 427.6), or the Old Trace Trailhead (milepost 426.3) can be a colorful experience. The Freedom Hills Overlook (milepost 317.0) provides a spectacular overlook of a hardwood forest. A short leisurely walk on the Rock Spring Nature Trail is an easy way to get out and see the colors more closely. The view from Little Mountain Overlook in the Jeff Busby Campground (milepost 193.1), provides a wonderful quick stop to view the fall colors. Take a day hike along the Natchez Trace National Scenic Trail from the Old Town Overlook Trailhead (milepost 263.9), or the Beech Springs Trailhead (milepost 266.0) a rewarding experience. **Many special events are scheduled during the holiday season in different towns along the Parkway, so check out what's happening on the date of your choice.